For the uninitiated, the man behind Temple Street's newest spot, Adam Stokes, is the eponymous Michelin-starred Adam's on Waterloo Street. You can’t pre-book a seat at the designated, upstairs oyster bar, it’s just a turn-up-and-keep-everything-crossed kind of situation. But for the spontaneity-averse, you can reserve a table in the lower restaurant area. Front of house you'll find a team that's approximately 80% female — definitely not the norm in the world of Brum hospitality but also not a conscious decision, just a case of the right people for the job, with lots of Adam's alumni. Long-time devotees of Letterbox (hi Dad) will know we featured Rosanna Moseley way back when she was taking part in a little TV show you might have heard of, MasterChef; The Professionals. Ring any bells? She’s been rising through the ranks at Adam’s ever since. So when she mentioned to Adam about 18 months ago that she felt like she needed a novel challenge, the team suggested a new restaurant. 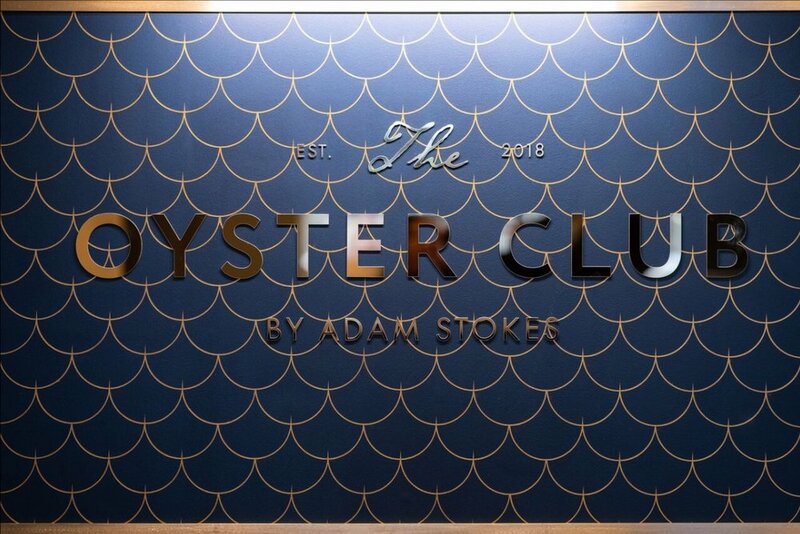 The Oyster Club was born and Rosanna is happily the new spot's head chef. How’s that for a challenge? If there's ever a new opening in B'ham with lush decor, it's probably thanks to Faber. Here they've used a muted pastel palette of dusty pinks, pale blues and warm satiny brass tones, hinting at colours and textures of the sea. The pendant lights over the bar — which I'm obsessed with FYI — take inspo from oyster pearls, the reeded glass echoes waves, and the booth seating is shell-shaped. For extra drama, customers can watch oysters being shucked at the end of the curved marble bar. 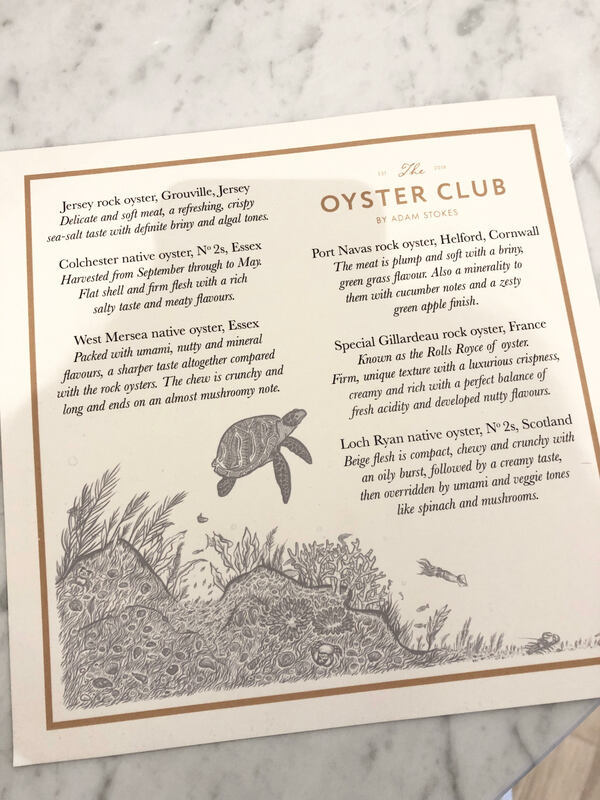 And if there was any doubt that the project is a whole team affair, the beautiful oceanic illustrations on the menus are by Ning-Ning Li, who as well as being an artist and musician, is a waitress at The Oyster Club. Previously resident in Scotland for five years, the provenance of Adam’s seafood was never in doubt. Richard Haward Oysters and Brixham Seafish are charged with sourcing and Adam’s previous local Scottish oyster supplier even finds its way to the menu with the Loch Ryan Native Nº2 oyster. 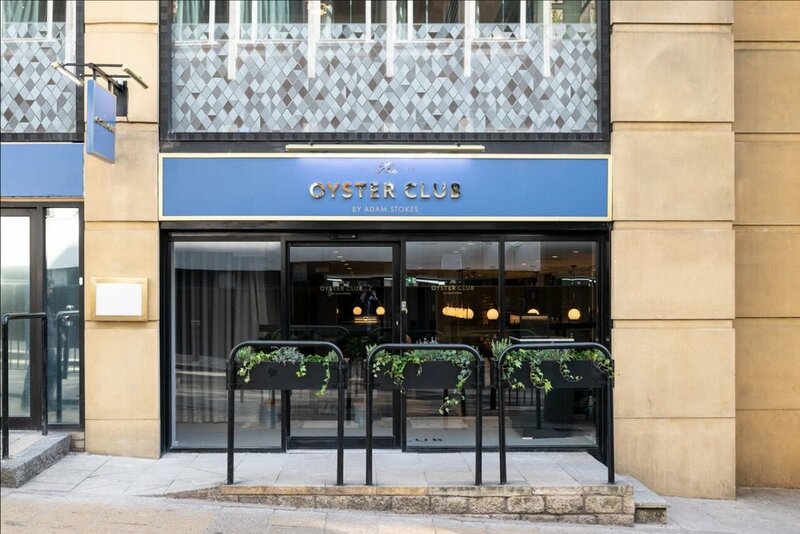 Jersey Rock Oysters will set you back £14.50 for six, while small plates start at £10.50 — I’ve got my eye on the white crab on toast with Granny Smith apple, chives and chicken skin (£18.50). Fish pie with lobster and a cheddar mash top is order of the day if you're after something more substantial (£35). But if it’s pay day and you’re feeling fancy, go all out and get 50 whole grams of Beluga caviar (£180) and take a friend. Or five.